Igor is learning to play the flute from September 2012 (before that - blokfleyta- 3 years). Teacher - Efimenkova Julia Andreevna. 1) II International competition of flutists named VN Tsybin. III prize. 2) VIII Moscow festival of young performers of early music named Leopold Mozart. II prize. 3) III Moscow Open festival-competition named YN Dolzhikov. II prize. Moscow 2014. 4) Internet Music Competition-Serbia. I prize. Belgrade, 2014. 5) V Open contest at the Moscow Museum - Ostankino ""Children playing ancient music."" 6) IV Moscow open competition-festival named YN Dolzhikov. I prize. Moscow, 2015. 7) VIII Open festival-competition of young flutists named MI Tabakov. Winner. 8) III Moscow Open Competition for young flutists and wind instruments ensembles. I prize. Moscow, Music school named IO Dunayevsky, 2015. 9) X International Music Competition ""The Muse"". I prize and gold medal. 10) V Moscow open competition-festival named YN Dolzhikov. I prize. Moscow. 11) VII International Internet - Competition «My Favorite Flute». II prize. 12) Open Regional festival of musical art ""Golden Lyre - 2016"". The Grand Prix. Moscow region, Shchelkovo. March 2016. 14) XIV International Children Music Contest Rotary. Semifinalist. Moscow. October 2016. 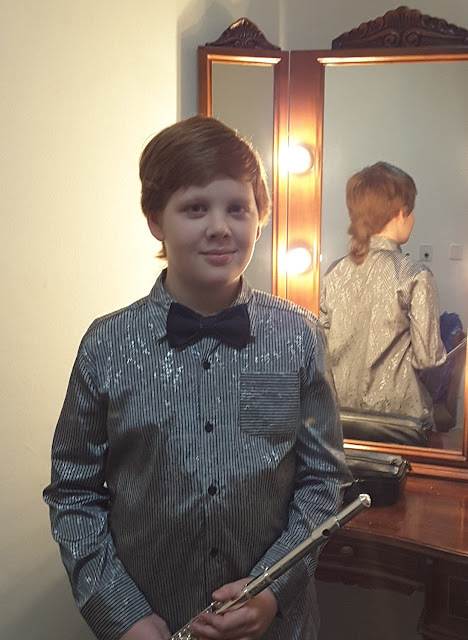 15) Open Interregional Competition for Flute ""My Magic Flute"". I prize. named YN Dolzhikov. II prize. Moscow, 4-8 January 2017. Workshops: VL Kudrya, OY Ivusheykova, A. Groth, MA Chepurina, EO Dolzhikova, Krzysztof Kaczka, Elena Mamonova, Susan Milan, Clare Southworth, Raffaele Trevisani, Nikos Karassavidis, Nicole Esposito, Berdien Stenberg. As a listener: Luca Vincent, James Galway, Petra Music. 2014 - Scholarship Charity Foundation ""New Names"". 2015 - Scholarship Charity Foundation of Vladimir Spivakov. 2016-2017 - Scholarship Charity Foundation of Yuri Rozum. Igor learns in school on 4 and 5, has been singing in the school studio, participate in contests and concerts.